While going under the knife is one of the most popular ways to get rid of body fat, it isn’t the only effective way. If you’re not comfortable with invasive procedures like liposuction, BTL Vanquish fat removal in Singapore is worth considering. Vanquish is a new, non-invasive technology that uses contactless radiofrequency(RF) technology to lose inches off your waistline, arms, thighs, and flanks. The use of the patented selective RF helps reduce the circumference of the entire abdominal area, while ensuring unmatched level of patient comfort and safety. This fat reduction method uses an FDA-cleared device that emits controlled energy that only targets fat cells and melts them away without surgery. The effectiveness of Vanquish is attributed to the science of “impedance” or the resistance of fat cells to absorbed heat compared to other body tissues. As fat cells have a higher resistance to heat, this only means that they can absorb more heat energy, which then helps in triggering the process of apoptosis or natural cell death. Exposure to heat causes the fats cells to die naturally over time. This will then be processed as waste in the liver and cleared naturally through the lymphatic system. It is good to know that as the fat cells are heated, there is no damage to surrounding skin tissues or muscles. This means that there is no downtime, swelling or bruising. Vanquish is ideal for both men and women who want to get rid of stubborn fats that are resistant to diet and exercise. It is effective in decreasing the circumference of abdomen, as well as targeting the saddlebags, love handles, and inner and outer thighs. What’s great about Vanquish is that it does not require any specific BMI which means that almost everybody is a candidate. Moreover, it is also safe for all skin colors. An experienced aesthetic doctor can help you to safely determine if you’re a right candidate for Vanquish. What Makes it Different from CoolSculpting? Vanquish uses heat or radiofrequency to melt fat cells away while CoolSculpting uses Cryolipolysis (fat freezing technology) to freeze them away. What makes Vanquish unique is that it can shape and contour your body without even touching your skin. The device just hovers on the treatment area in a panel array of heat to target the fat cells alone. This is not the same with CoolSculpting, as it uses an applicator and a vacuum pressure to suction in the fat tissue in between the cooling panels. The treatment may feel warm (similar to that of a heating pad). Patients report that the treatment is bearable and not painful. You may also feel some warming sensation at the treated area, which may last for a few hours after the treatment. The procedure is also done in a lying position so you can relax all throughout the session. How Long Does the Treatment Last? How Many Will I Need? In general, a Vanquish treatment may last for about 30 to 60 minutes per session. Just take note that this may still depend on the areas you want to be treated. An experienced aesthetic doctor will explain to you in detail what will happen during the treatment and how long it is going to take. Most patients usually need four to eight treatments that are scheduled weekly. During the consultation, your aesthetic doctor will evaluate your concerns and body goals to determine the amount of treatment needed in achieving realistic results. As the procedure is non-invasive and contactless, there is no downtime or recovery time needed. In fact, you can schedule Vanquish fat removal during your lunch break and return to your normal activities after the session. How Fast Can I See Results? How Long Will They Last? Every individual is unique and results may vary. However, some patients see result as early as three weeks, as this is the time when the body begins to naturally get rid of heated fat cells. However, noticeable and optimal results can be seen after 60 to 90 day window. The dead fat cells are gone for good and will not regenerate. But do take note that your diet or lifestyle will great affect your results. It is best to maintain a healthy lifestyle to maintain the new shape you have. 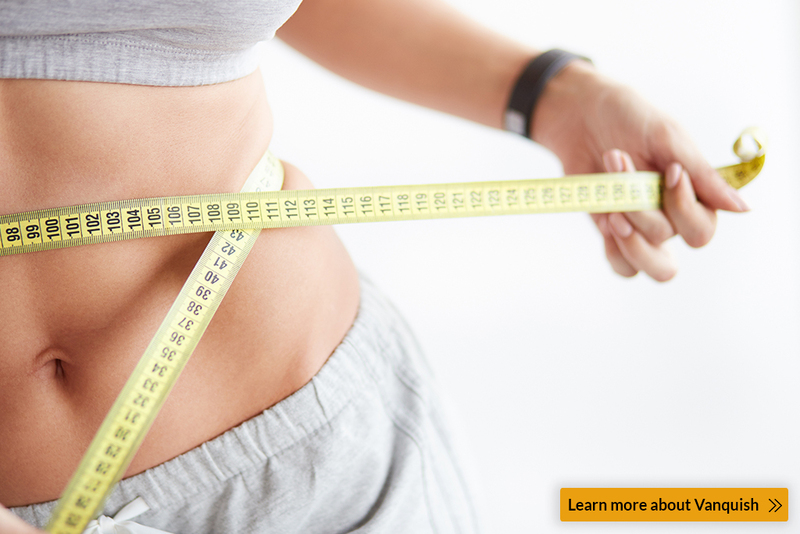 With Vanquish fat reduction, you can now get rid of your unwanted fat without needles, scalpels, or downtime. Contact Cutis Laser Clinics today and schedule a consultation with our Harvard-trained aesthetic doctor in Singapore, Dr. Sylvia Ramirez, and say hello to a new and a slimmer you.